DONNIES T. ALAS, President of the Association of Certified Public Accountants in Public Practice (ACPAPP), Chairman and CEO of Alas Oplas & Co., CPAs, and also the Founder and Chairman of Alas Oplas Alliance Firm, visits the ACPAPP Baguio Chapter. With him are ACPAPP's Executive Director Marifi B. Maring, Elpidio Jao Baguio Chapter President, Christopher Ismael VP- Operations, Greg Aquino Corp. Secretary, Directors Federico Paragas, Caridad Espina. Jennilyn Avelino, and Francisco Franco. MAKATI CITY – Mr. Donnies Alas, ACPAPP President welcomes the ACPAPP Batangas Chapter lead by Ms. Nimpa Magnaye, Liaison Director, PD – Luzon in his office and proudly introduces to the management team. Besides Mr. Alas [Left] Ms. Saylita Cabral and Ms. Ma. Belina Pradil, [Right] Ms. Liza Umali, Ms. Jenely Dimatatac and Ms. Nimpa Magnaye. 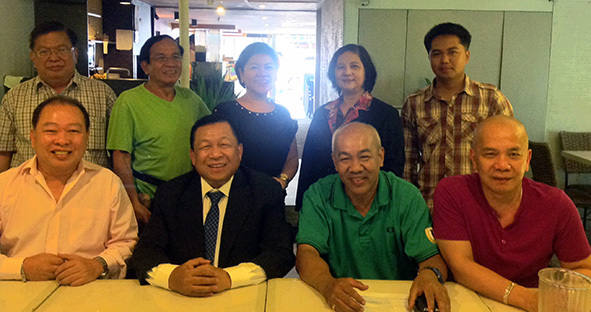 JUNE 17, 2014 – PICPA PGS Committee with our very own Chairman/CEO of Alas Oplas & Co. CPAs and ACPAPP President 2014 Mr. Donnies Alas, Hon. BOA Chair Mr. Joel Tan-Torres, Hon. BOA Gerry Sanvictores and Hon. 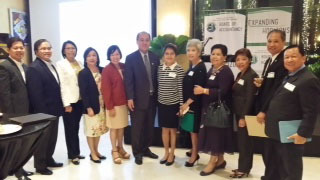 BOA Eliseo Aurellado during the Expanding Horizons Program of Board of Accountancy and inaugural presentation of the new members at Palm Grove, Rockwell Club.